Great to be included in the Regen Communities & Devon County Council report highlighting the importance of Community Energy in Devon. 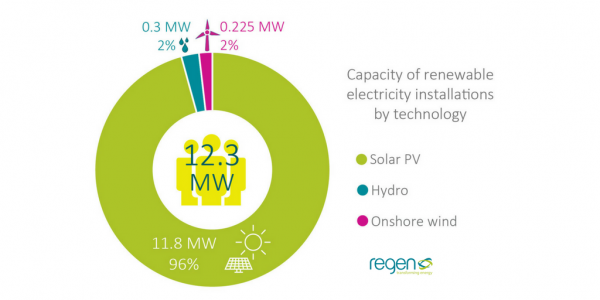 Devon Community Energy organisations have installed 12.3 MW of Renewable Energy through 62 projects in Devon. One of the many positive impacts highlighted in the report available here. Check out Tamar Energy Community (TEC) Community Solar here. 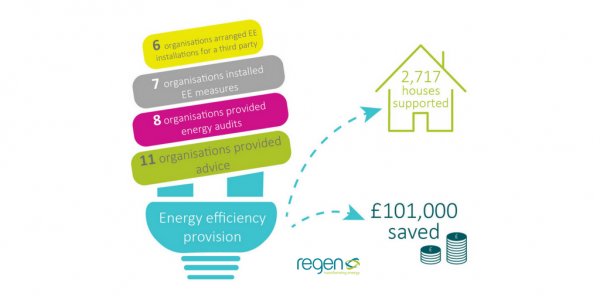 Look at the huge CO2 equivalent savings made by Devon Community Energy organisations from generating green energy through renewables! Through energy advice, energy efficiency measures and tariff switching, Devon Community Energy organisations are tackling fuel poverty. 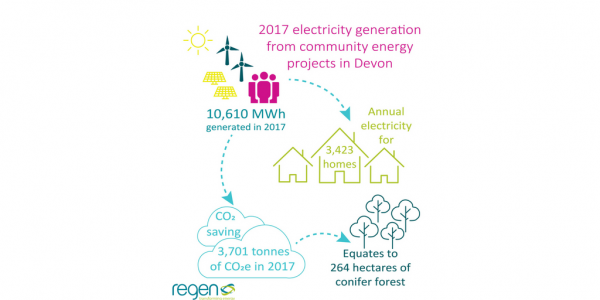 Partnerships and connections with other organisations enable Devon Community Energy to go further so that more people benefit. 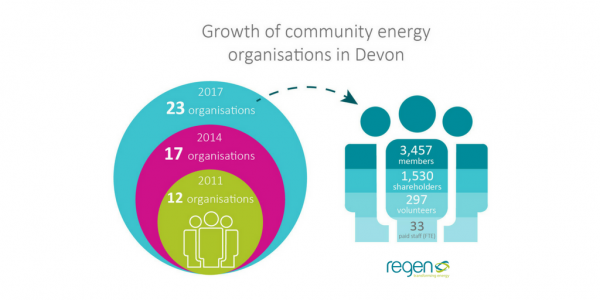 The number of Devon Community Energy organisations has increased to 23. Collectively they employ 33 FTE staff have 297 volunteers and 3457 members. 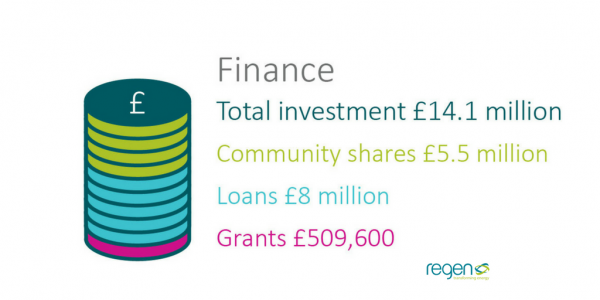 Devon Community Energy organisations collectively have raised £14.1 million to fund their Community Energy projects. Here are the key success factors highlighted by Devon Community Energy organisations. A lack of viable business models due to reduction in FIT was the most common reasons causing some Devon Community Energy projects to stall. Community Energy in Devon has created 33 FTE, jobs, raised £14 million & generated enough clean green energy for 3423 homes in 2017.